I have a new PDF sewing pattern in my Etsy shop. To celebrate this I have 25% off on all my patterns during April 13-20. Use coupon code EASTER17. I have had a lot of fun making these. The original idea was my eldest daughter’s, she wanted a shiny small purse for a party. 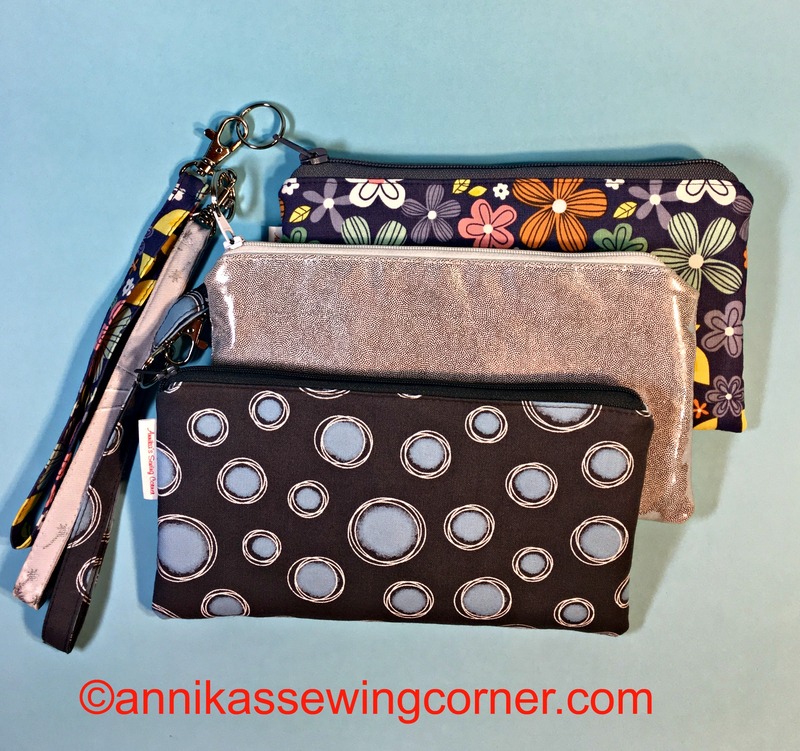 The wristlet has an inside pocket with zipper and 4 credit card slots. 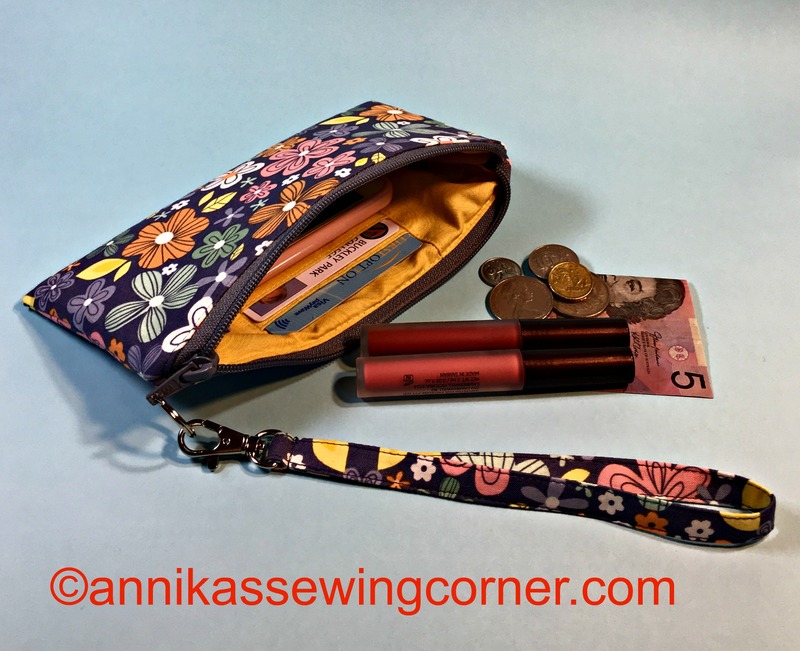 Perfect size for a night out when you just want to bring your phone, keys, ID etc. If the main fabric is a heavier fabric, e.g. home decor fabric or canvas, you will not need the batting.